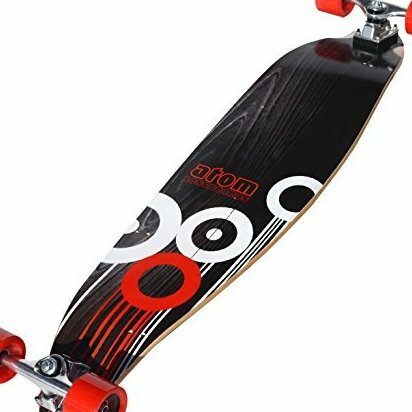 Atom's original low-carving longboard, with stable turning and low profile geometry that allows for easy pushing. Full maple laminate deck and traditional longboard trucks. 217-millimeter axles; Wide-Lip 70-by-51-millimeter super high rebound (SHR) urethane wheels. ABEC 9 bearings with high-speed lubricant; 80S grip tape. Includes limited one-year manufacturer's warranty.